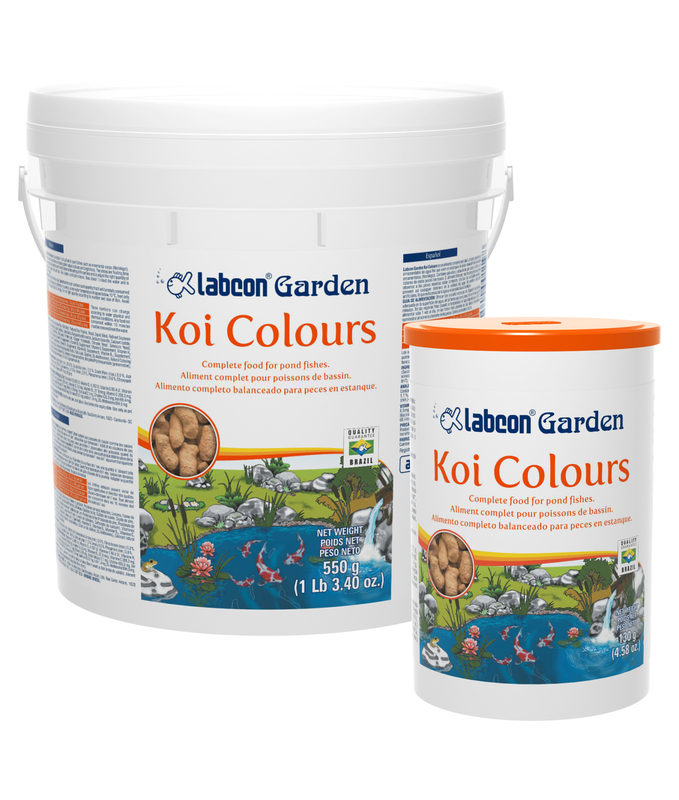 Labcon Garden Koi Colours is a complete floating food for pond fishes such as ornamental carps (Nishikigoi). Contains spirulina and astaxanthin for enhancing their natural colours and brightness. The sticks are floating time enough for watching these beautiful and friendly fishes while eating at the surface and to adjust the right quantity of food so to keep the water clear and safe. No contains artificial colours, thus doesn´t cloud the water and is harmless to fish health. 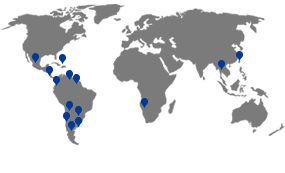 Corn Flour, Soybean Meal, Fish Meal, Textured Soy Protein, Yeast, Squid Meal, Refined Soybean Oil, Minerals (Iron Sulphate, Copper Sulphate, Zinc Oxide, Manganese Monoxide, Sodium Selenite, Calcium Iodide, Iron Proteinate, Zinc Proteinate, Manganese Proteinate, Copper Proteinate, Chrome Yeast, Selenium Yeast, Calcium Carbonate), Vitamins (Vitamin A Supplement, Vitamin D3 Supplement, Vitamin E Supplement, Vitamin K3 Supplement, Vitamin B1 Supplement, Vitamin B2 Supplement, Vitamin B6 Supplement, Vitamin B12 Supplement, Vitamin C Supplement, Niacin, Calcium Pantothenate, Biotin, Folic Acid, Choline, DL-Methionine), Natural Coloring (Annatto), Dehydrated Spirulina, Astaxanthin, Ethoxyquin (preservative), Butylated Hydroxyanisole (preservative), Butylated Hydroxytoluene (preservative), Citric Acid (preservative).